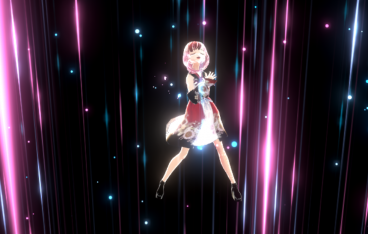 In this article, we create a ‘singing-and-dancing’ live space with the ‘particle’ performance by using the model created with VRoid Studio. By applying this method, you can make your favourite live space by using your original model, playing other songs or creating your original particle performance. I will show the instruction in the series of four separate articles, which contains Chapter 1 to 11. This first article covers Chapter 1 to 5, completing the import of the model created with Vroid. You can taste the sample space form STYLY GALLERY. 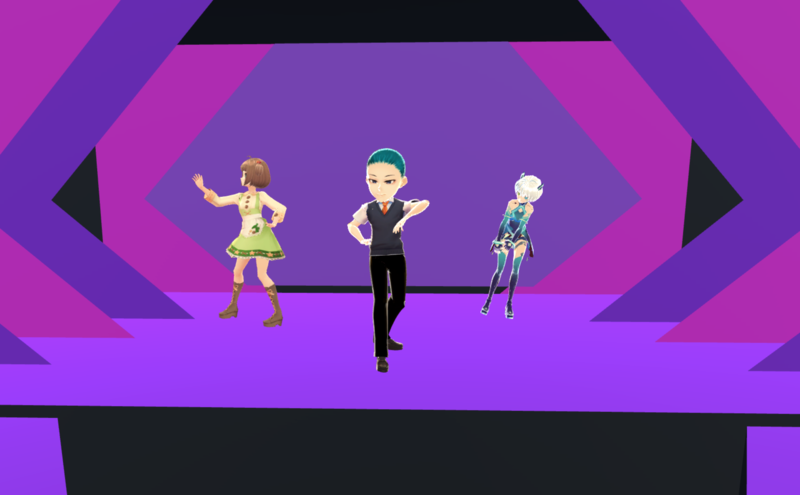 In this article, ‘Vroid Studio’ is used to create the character and the ‘Unity-Chan “Candy Rock Start” Live Demo’ project is used as the base of the live space. The project to upload to STYLY is created with Unity2017.4.3. The ‘particle live’ in this article consists of the following components and many of them are controlled by the timeline. I am going to explain how to edit the clothes of the default character available in VRoid Studio and export it as a VRM file. By the way, please read the article below to learn more about how to create a character and export it. Note that I use VRoid Studio ver.0.5.4 from this point onward. Download by clicking the ‘Download’ button on the site shown below. In this article, I use ‘For Windows (64bit) v0.5.4-p1’. In BOOTH, there are a lot of clothes and accessories for VRoid. This time, I use the clothes created by slip. ※ Every creator has his/her own user policy, so please read it carefully before use. After launching VRoid Studio, select a sample character from the initial screen. Select the ‘Clothing Editor’ tab and then the ‘Texture’ tab. Replace the clothes with the ones prepared earlier. Click the ‘+’ button next to ‘Layers’ to add a layer. Right-click the added layer and select ‘Import’. Then, select the texture of the clothes downloaded earlier. From the top menu, select ‘Menu > Save As…’ to save the model. Select the ‘Camera/Exporter’ tab and export the VRM file. I am going to explain how to import the created model into Unity and display it. Create a new project with Unity. Download UniVRM from the official site and install it to Unity. This time, I use ‘UniVRM-0.45_0c49.unitypackage’. With the project opened, double-click the downloaded ‘UniVRM-0.45_0c49.unitypackage’ to import. Next, import the VRoid model. Select ‘UniVRM-0.45 > import’ and select the VRM file exported from VRoid Studio. Drag and drop the prefab into the Hierarchy window. Now the import has been completed. That’s all for this first article. In the next article ‘Vol. 2’, I will show how to transfer the base information (Song, animation and etc.) from the ‘CandyRockStar’ project to the project you are working on.